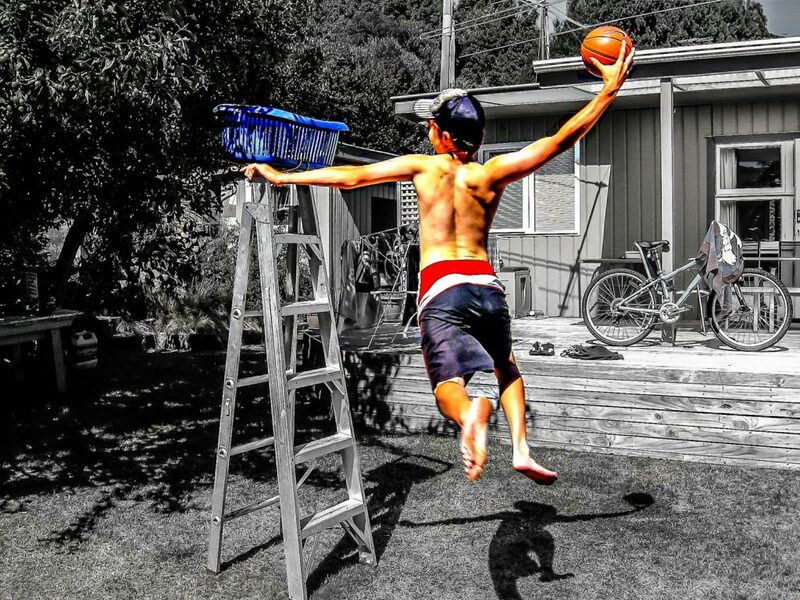 My son Liam innovating with a ladder and laundry basket to make a hoop to pursue his lifelong passion for basketball. It shows you can play basketball anywhere if you have imagination. This is one of my first photos of basketball taken 24/1/2009 near Akaroa New Zealand on a Canon Power Shot.